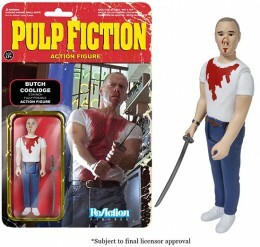 It should go without saying that 2014 Funko Pulp Fiction ReAction figures aren't intended for kids. 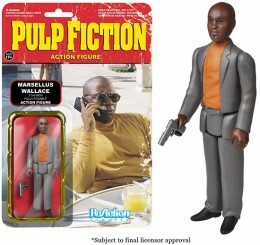 Given the old-school look, they might not want to given the detailed toys available today. But that's not what this line is about. 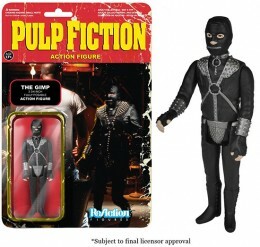 Pulp Fiction is one of the most influential movies of the 1990s. 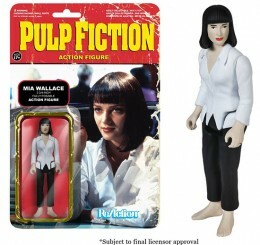 Critically acclaimed and loved by audiences, it lives on with its first line of action figures outside of LEGO-inspired block figures and a line of Funko Pop vinyl toys. 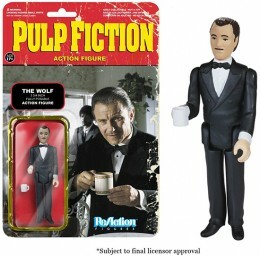 Like all releases in the ReAction line, the focus is on nostalgia and not on offering the most detailed and articulated figures on the market. They're done in the style of figures from the 1970s and '80s, like Star Wars and G.I. Joe. They stand 3 3/4" tall and have a rather generic look to them. They move a little, but it's very limited. 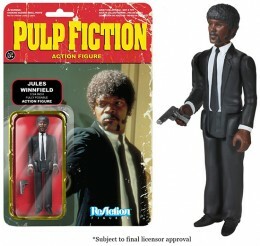 The 2014 Funko Pulp Fiction ReAction figures lineup has eight figures. 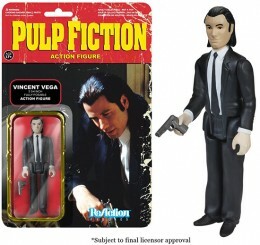 They include Vincent Vega, Jules Winnifield, Mia Wallace, Butch and The Gimp. Click on the tab above to see all of the figures. 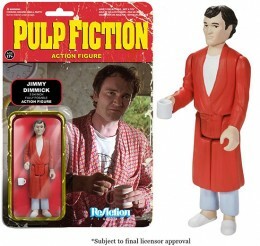 Click on the links to shop for specific figures on Amazon.